Cooking workshop in the barn of a working farm. 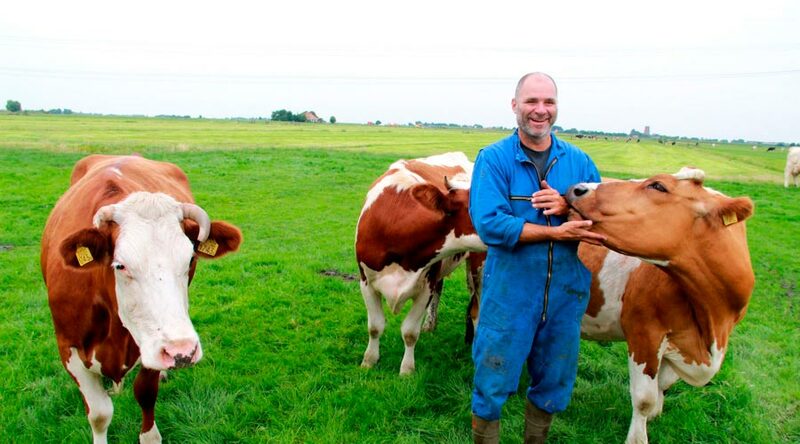 Just outside Amsterdam, situated in the Dutch well-known polders we organise cooking workshops on an organic working cattle farm. Before you start cooking you are invited to come along with the farmer to collect the cows for milking. Farmer Albert will be more than happy to tell you about the farm and its whereabouts. The cooking studio is situated in the Sheep barn. With fresh local ingredients you will prepare a delicious farmers menu. When the weather is fine we will enjoy the dinner outside in the courtyard, overlooking the fields. The farm is a good location for an informal meeting and/or brainstorm session. At this location we welcome groups up to 25 persons. Cost: € 350,– per day or € 185,00 for part of the day. Prices are including coffee/tea and mineral water. If you do not feel like cooking we can also provide you with a 4-course dinner in these beautiful surroundings. The Stadshoeve is a great party location. Tasteful farmers dinner in the barn or outside in the courtyard. Ideal for meetings and family outings. Kids can run freely on the premises and watch the animals. You can combine your party with an excursion with the farmer in the fields, a wine tasting or a cooking workshop. Please contact us for an estimate upon your request.